Christmas is that magical time of year when we enjoy the atmosphere, the Christmas carols, and time with our family and friends. We tend to associate the festive period with cold, rain, and snow… so could you imagine enjoying the holidays with sun and sea views? Now there’s no need to imagine it – the Costa Blanca offers you all this and much more! On the Costa Blanca, you will enjoy good weather almost 365 days a year, with a mild climate in winter and an average annual temperature which doesn’t normally drop below 16°C. These temperatures don’t make the atmosphere any less Christmassy though, as the area is full of events and Christmas markets to help people celebrate the magic of the holidays. 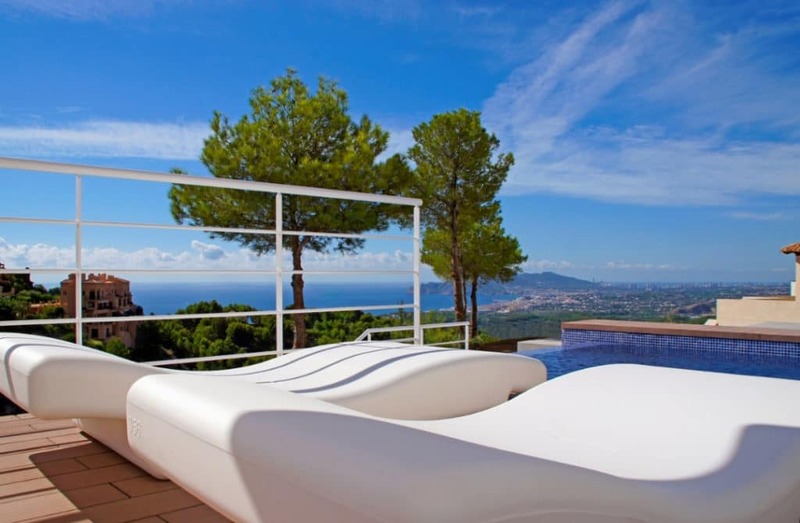 If you want to begin a new life on the Costa Blanca, this is the time to buy your VAPF home! Would you like a recommendation? Take note of these developments of luxury apartments and villas and choose to experience Christmas by the sea. In Cumbre del Sol Residential Resort, you will find a wide selection of luxury homes located in an incredible natural environment with wonderful views of the Mediterranean Sea. From among these stylish apartments and villas, you will find your new home which offers you maximum comfort and the best services within reach. Here, you won’t just find a home, you’ll become part of an active community and participate in a huge number of events organised by residents in the area. In December, Cumbre del Sol Residential Resort is full of Christmas spirit and here at VAPF we encourage all the neighbours in the area to bring out their creative side by taking part in our Christmas Decoration contest, which gives prizes to the homes with the best interior and exterior decorations. The luxury Blue Infinity apartments offer over 240m2 of space and a minimum of 40m2 of terrace space so that you can make the most of the Mediterranean climate. In addition, they are situated in Cumbre del Sol Residential Resort, a perfect area for all those who are searching for privacy, tranquillity, and outdoor activities all year long. Not to mention the advantage of being able to wake up each day to incredible views of the sea. On the ground floor you can also enjoy the communal areas, which include a multi-use room, covered and uncovered terrace, and infinity pool overlooking the sea. If you want a stylish apartment which offers every comfort, Blue Infinity is for you! If you are looking for a house, opt for our luxury villas! 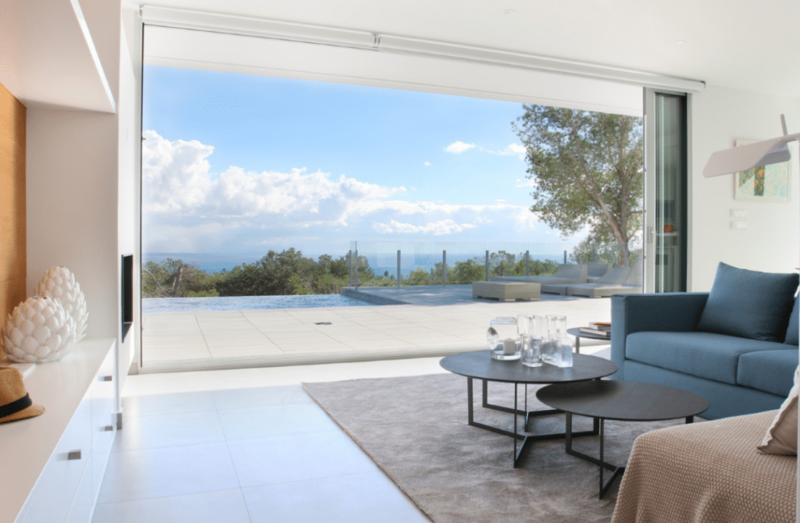 The Lirios Sunrise development consists of modern villas from which you can admire the island of Ibiza. Spacious homes, open spaces, and a terrace with a private pool – a dream come true in a unique location. In addition, your guests will be able to make use of the ground floor, with its own private entrance and terrace, or you could even turn it into a private home gym. At Lirios Sunrise, you can adapt your home to suit your tastes and needs. In Lirios Design, you will find villas inspired by Greek islands in which the dominant colours are white and blue, contrasting with the green of the surrounding area and the intense blue of the sea. Mikonos, Santorini, Creta, and Rodas, among others, each with its own style but with the most important features in common: each has an infinity pool, large terrace, and lots of light, as well as incredible views and use of the services in Cumbre del Sol Residential Resort. Although the majority of our developments are found in Cumbre del Sol, our luxury and exclusivity extend to other areas such as Altea, one of the most beautiful municipalities in the province of Alicante whose old town is filled with narrow streets and whitewashed houses. Azure Altea Homes, currently under construction, is a development of five villas close to the Playa de la Olla. 400m2 across two floors with three bedrooms, four bathrooms, a solarium, terraces, and a private pool. There is also Blanc Altea Homes, where you can admire Benidorm’s skyline from a large terrace with private pool and enjoy the nature that surrounds you. So, what are you waiting for? Fill in our form and we will get in touch with you! You’re still in time to experience the magic of Christmas on the Costa Blanca and enjoy a dream way of life. Here at VAPF, we are ready for Christmas to arrive! In fact, at Cumbre del Sol Residential Resort, a huge number of the houses have already been invaded by Christmas spirit and the bravest neighbours have decided to participate in our 2nd Christmas Decoration contest. A lovely way to fill our homes with the magic of this time of year! As has been the case in previous years, during this time all our offices will have different customer service times. If you would like to visit us on these dates, we recommend checking all the opening times between the 22nd December and the 6th January. Our central office, located in Benissa, will be closed throughout the entire festive period, as will our Cumbre del Sol Residential Resort South office, which won’t re-open its doors until Monday 7th January. However, our Cumbre del Sol Residential Resort North office will be open from 9:00-14:00 and from 16:00-19:00, apart from on the 25th December and the 1st January, when it will be closed. Our new VAPF Store in Moraira, which we opened this year to offer our clients a location close to the Moraira promenade and the central area, will be closed from the 22nd – 30th December and on the 1st January. It will be open on the 31st December and the 2nd, 3rd and 4th January from 10:00-17:00. 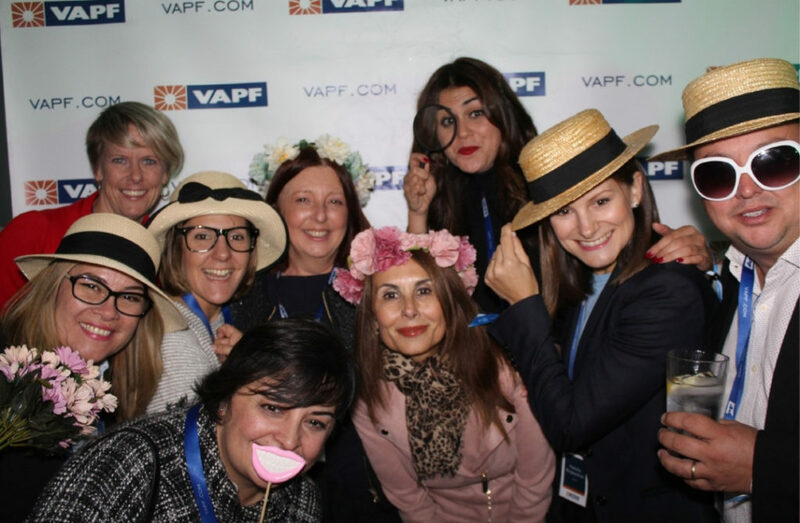 Here at VAPF, these dates are important – both so that we can be with our loved ones and because we have the chance to switch off for a few days before beginning the new year with all the energy that our clients deserve. If you are looking for the home of your dreams on the Costa Blanca, you know where to find us. Remember that to make an appointment or request information, you can also fill in our contact form. Happy holidays! In what year does social action begin in the VAPF Group? Grupo VAPF has always been focused on actions for the improvement and care of the Environment, as well as health and the dissemination of culture in our communities. However, it was in 2016 when, with the aim of evidencing, organising and increasing our degree of commitment to society and to our employees and customers, these activities were combined with the company’s strategy, through the creation of the Corporate Social Responsibility Department (CSR), directly under the General Financial Management of Grupo VAPF. Why carry out this type of Social responsibility actions in the business environment? At Grupo VAPF, we understand that we must actively contribute to improving the socioeconomic system of the communities in which we operate and we assume as goals of our activity the three basic pillars of sustainability, namely, the generation of economic well-being, environmental improvement and responsibility towards society. What are the main areas of CSR in Grupo VAPF? The VAPF Group’s Corporate Social Responsibility programme is based on 5 strategic areas: human resources and well-being at work, the environment, economic support for NGO’s and disadvantaged groups, patronage in education, culture and sport and collaboration with local and regional entities in initiatives that contribute to the development of society. One of the areas we are most fond of this economic support for NGO’s and disadvantaged groups, collaborating every year with NGO’s such as UNICEF, UNHCR, Doctors without Borders, Save the Children, Vicente Ferrer Foundation, Caritas, Aldeas Infantiles SOS, Red Cross and PataSOSpital, among others. What alliances have been made by Grupo VAPF to carry out a responsible business management? Since 2016, Grupo VAPF has been member of the United Nations Global Compact and the United Nations Global Compact Foundation, voluntarily adhering to and supporting the adoption of the 10 basics principles that both section promote, based on respect for and compliance with human rights, compliance with labour regulations, protection of the environment and the fight against corruption. In addition, we have recently reformulated our sustainability strategy to link it to the Sustainable Development Objectives, through actions that increase the positive impacts of our company and avoid the negative ones. Whether you have already chosen to live in one of our luxury properties by the sea or are thinking of doing so… here are 7 tips which will make your life easier when it comes to making the move. Take note… and begin enjoying the enviable Mediterranean climate from your new home on the Costa Blanca! If there are any changes that you want to make in your new home, the ideal time to do them is before you move in; when the property is empty you won’t have to spend time moving or covering your furniture and other objects, making the process easier for everyone. You can consult our professionals who will help and advise you at all times so that your home is just as you dreamed it would be. In addition, you can also choose to make use of our interior decorating service so that you will feel at home as soon as you arrive. Take advantage of the move to throw out clothes and objects that you no longer use. There are a variety of methods for organising personal objects that can help you to decide what is not necessary. For example, the Konmari method created by Marie Kondo is one of the world’s most famous organisational systems which has become a way of life based on order. It could be very useful for getting rid of those things that you don’t use anymore! Start to pack at least a month before your move. As this is an arduous process that can be stressful, it’s best to do it little by little to avoid unnecessary tension. Before starting to pack, prepare everything that you need: boxes and packages of different sizes, protective materials for the most fragile objects (such as bubble wrap), etc. It’s important to wrap objects well to avoid any damage. There are companies dedicated to packing, so don’t hesitate to call them if you need a hand! Don’t close the boxes until they are full. It’s best to place objects of the same type (bathroom, kitchen, bedroom) in the same box to make them easier to find later. Make an inventory of your boxes. We advise numbering them and writing a list of the objects in each box. This system will make it easier to organise your things so that you know where priority objects are as well as ensure that nothing is lost during the move. Once everything is packed up, check all the rooms to make sure that nothing important has been left behind. Choose a good moving company. Remember that it is important to sign a contract and have a liability insurance policy in place to cover the loss of or damage to your possessions or any unexpected problems during the course of the move. If you would like more information about our properties or advice about your move to your new VAPF home, fill in our contact form! We will be delighted to help you. We began the month of November with a party to celebrate the inauguration of Blue Infinity, our development of luxury apartments with sea views in Cumbre del Sol Residential Resort. 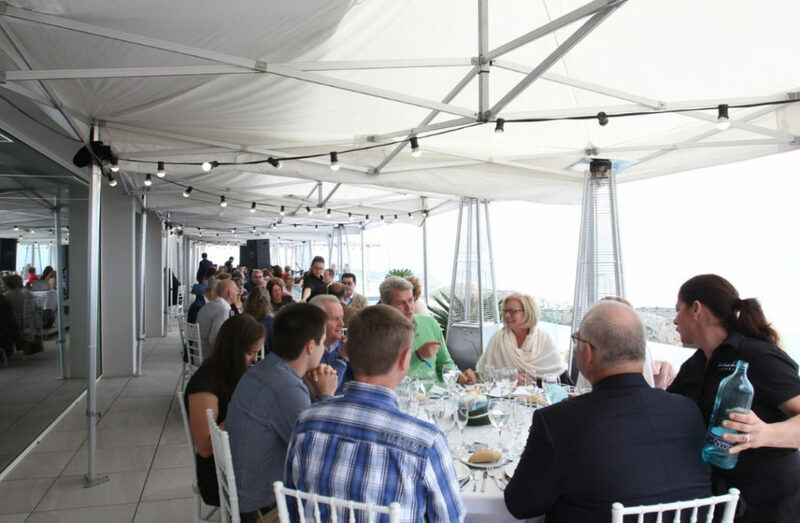 Last Friday, we were able to enjoy this event in which the property owners had the chance to meet each other and enjoy a fantastic evening with views of the Mediterranean Sea from the Blue Infinity apartments. Attendees included owners of properties in Block A, the future property owners from Block B, friends, and part of the VAPF team, which came to 75 guests in total at the event. The event began at 12:00pm in the Blue Infinity hall, where guests were welcomed and presented with an identification bracelet as well as a bag containing gifts, among which was an exclusive Blue Infinity polo shirt. Shortly afterwards, the guests enjoyed a delicious welcome cocktail, with canapés and fresh ham cut by a ham carver, in the terrace and pool area of the communal zones. When it was time to eat, guests were able to enjoy a sumptuous menu without taking their eyes off Blue Infinity’s wonderful sea views. After the meal, guests had the opportunity to enjoy a performance of Flamenco singing and dancing. In the evening, the party then continued in the gym area which was adapted for the occasion with a DJ, cocktail bar, and a fun photocall in which guests were able to pose for photos and take them home as a special memory of the event. During the event, our Sales and Marketing Director Vicente Mestre said a few words thanking all those who attended. On behalf of VAPF, we would like to thank all our guests again for turning the inauguration of Blue Infinity into an unforgettable day for everyone and we hope that our Blue Infinity property owners will enjoy the wonderful luxury apartments with sea views that we have created for them. 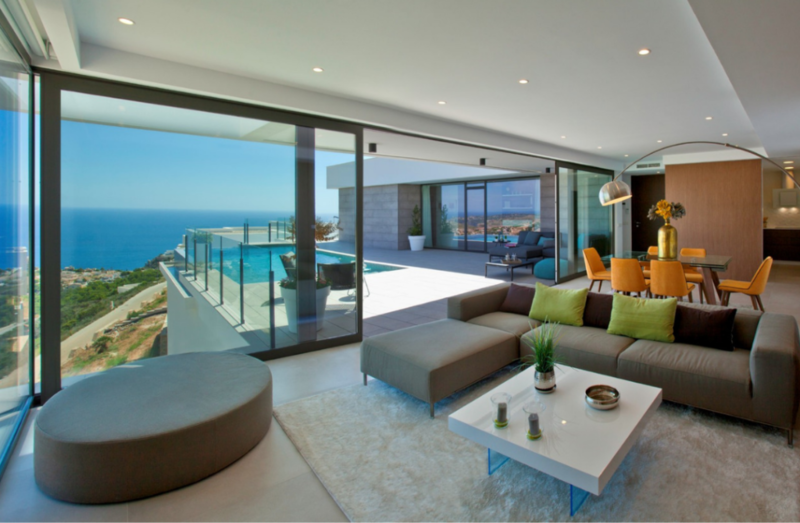 If you too would like to buy a luxury apartment on the Costa Blanca, don’t hesitate! Fill in our contact form and we’ll provide you with more information, with no obligation. For a few days, Cumbre del Sol Residential Resort became a film set for a spot which reflects the lifestyle enjoyed by those who call the resort home. The team involved was made up of nine people and six actors who showed a typical day in Cumbre del Sol Residential Resort. To do this, in addition to the hours dedicated to casting and storytelling beforehand, they needed 45 hours of filming time in the different developments as well as the use of drones to capture the wonderful views from the properties. In the spot, you can see the exclusive developments as well as the services offered in Cumbre del Sol. These include the supermarket, Laude International School, the restaurant, and the tennis and padel sports facilities. 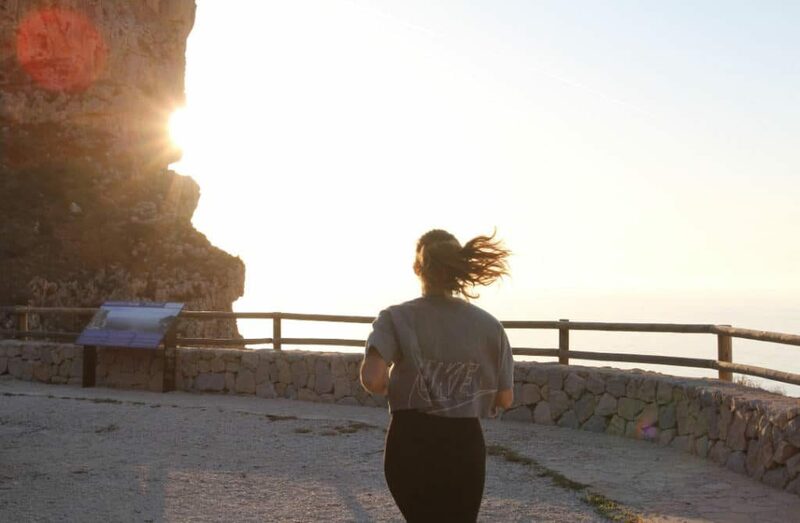 In addition, thanks to the resort’s privileged location we can see that there is also the option to enjoy different activities such as running and cycling in this unique setting. In the spot, we have the chance to look inside two of VAPF’s exclusive developments. The first of these is Villa La Nao in the Jazmines Residential Area, which is a luxury development accessed only by property owners with spectacular views of the Mediterranean Sea and skyline. It is the ideal place for those who want a made-to-measure house which suits their tastes and needs. Then, there are also the exclusive Blue Infinity apartments with efficient and functional layouts, high-quality materials and fittings, wellness areas, and a carefully considered interior design project. If you need more information about our exclusive developments, you can request it by filling in our contact form. Start your new life in Cumbre del Sol Residential Resort! Welcome spring from your new home on the Costa Blanca!